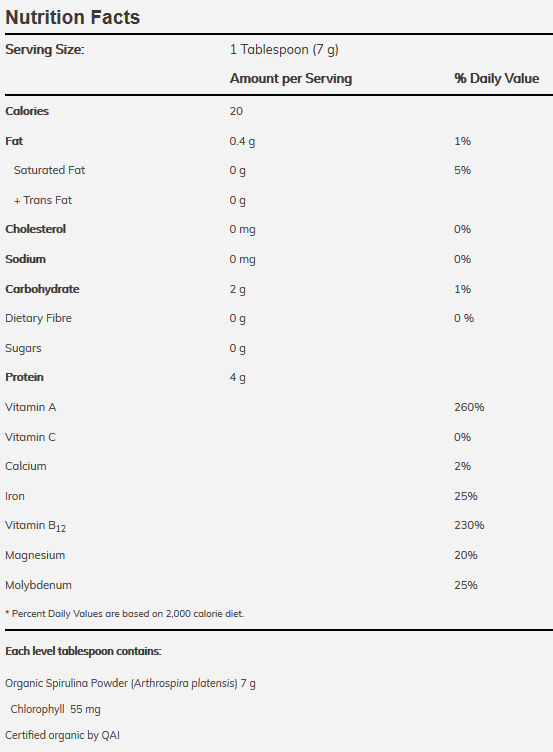 NOW Foods Organic Spirulina Powder is a blue-green vegetable plankton that contains the highest beta carotene (pro-Vitamin A) and protein levels of any green superfood. 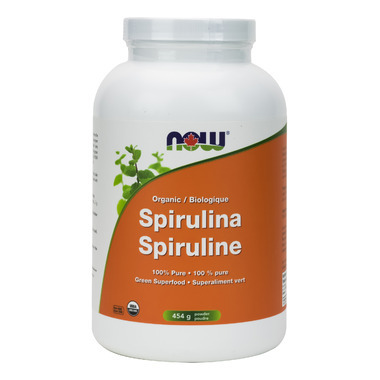 Spirulina has been a source of nourishment since the Aztecs harvested it centuries ago. In addition, it is the highest known vegetable source of B-12 and has naturally occurring vitamins, minerals, trace elements, cell salts, amino acids and enzymes. Directions: Take 1 level teaspoon daily, mixed in water, fruit or vegetable juice.